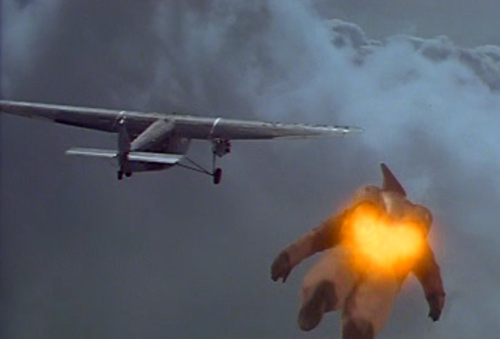 Cliff Secord is a stunt pilot who stumbles upon a jet pack which enables him to fly when strapped to his back. Cliff starts attracting attention with his new pack including the attention of Howard Hughes, the FBI, and Nazi operatives. Bill Turner built this replica in 1975 after the Granville Brothers' original "Z" Model from 1931 that won the Thompson Trophy Race. 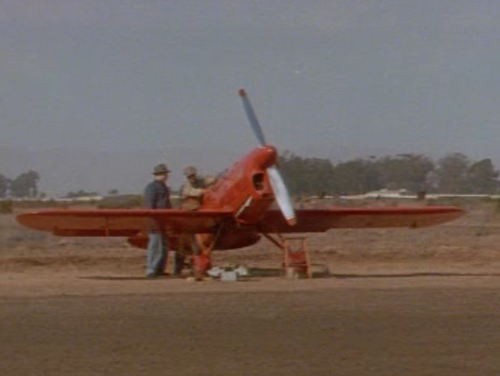 The Granville Brothers (G-B "Gee-Bee") built the original planes in the '30s. This replica currently (2010) can be seen at Museum Of Flight, Seattle, WA. 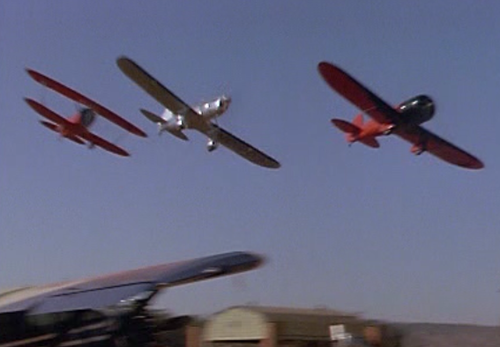 Crash scenes use an identically-painted non-flying replica 1931 Gee Bee Model Z (built c. 1990). 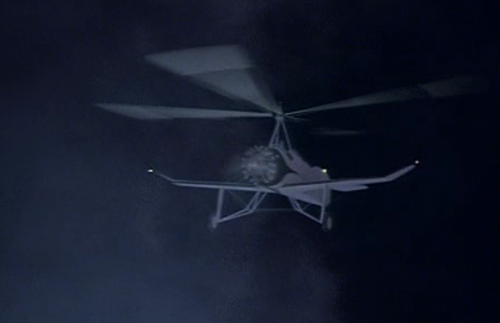 That replica was re-painted black & white with "NA73" designation for its appearance later in the film. Info courtesy Ed Cook. 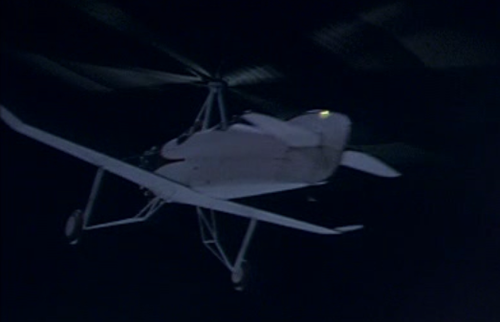 Flying replica built circa 1971. 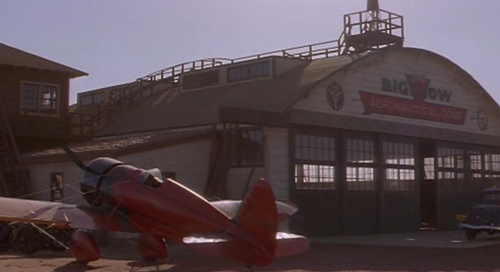 See Staggerwing Museum Foundation, Inc., Tullahoma, TN. Info courtesy Ed Cook. Inside Howard Hughes hanger. 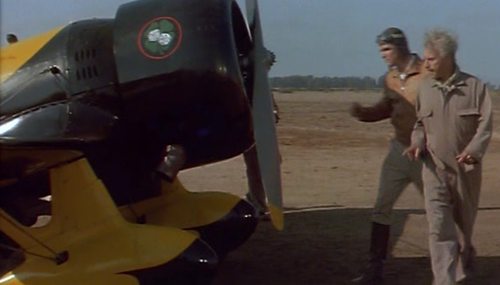 We guess the Hughes H-1 Racer on the ground, at left. 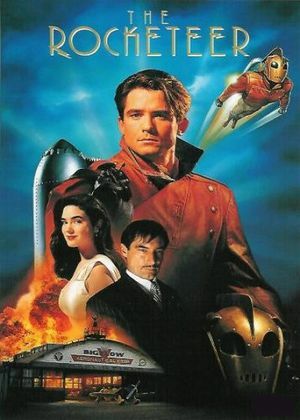 "The Rocketeer" is set in October 1938, years before the HK-1 was ever developed. 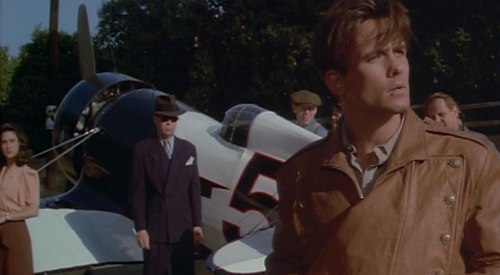 Hughes was said to have strongly disliked the term "Spruce Goose" and in fact the term was not used in this film. Info courtesy Ed Cook. 1936. Looking at the silver monoplane this time. 1936 RYAN ST-A. Info courtesy Ed Cook. 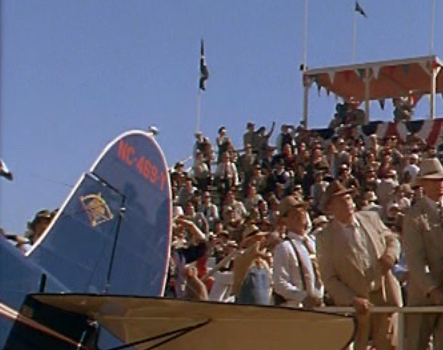 Looking at the red biplane in the rear. 1931 GREAT LAKES 2T-1A. This plane can currently (2010) be seen at the Santa Maria Museum of Flight in Santa Maria, CA. Info courtesy Ed Cook. 1930. Info courtesy Ed Cook. 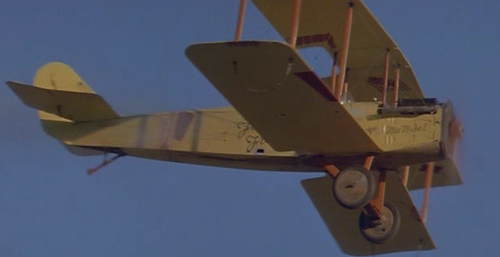 1918 Standard J-1, painted as "The Fearless Freep" and referred to as "Miss Mabel" in "The Rocketeer". 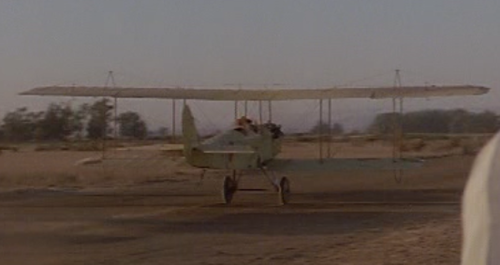 Not to be confused with Curtiss Model JN-4 "Jenny", which is somewhat similar in appearance, but did not appear in the film. 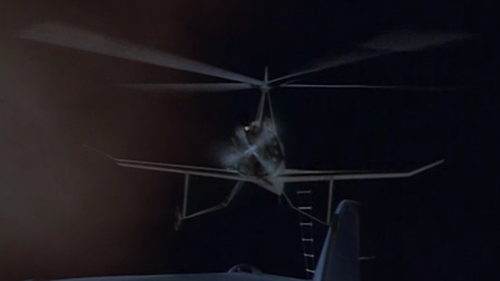 The Standard has the slightly swept upper wing, among other differences. Info courtesy Ed Cook. 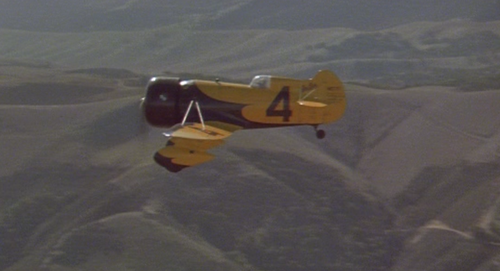 Replica 1934 BROWN B-2 RACER "MISS LOS ANGELES" #33 (FLYING REPLICA c. 1972). Info courtesy Ed Cook. 1929 FORD 5-AT-C TRIMOTOR. Info courtesy Ed Cook. 1931 PITCAIRN-CIERVA PCA-2 AUTOGYRO (1/8 scale I.L.M. miniature). Info courtesy Ed Cook. 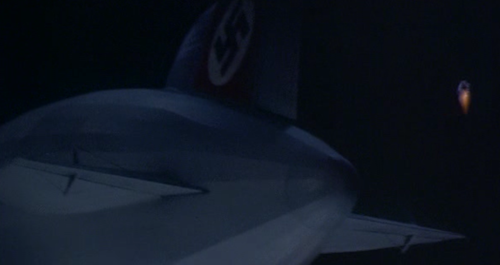 Fictitious 1938 Zeppelin LZ 130 Luxembourg (Model)(12-foot I.L.M. SCALE MODEL). Actual LZ 129 "Hindenburg" appears in newsreel footage. Info courtesy Ed Cook. Zeppelin LZ 129 Hindenburg of DZR-Deutsche Zeppelin Reederei. Non-flying replica built circa 1990 with 1991 re-paint. Note "NA73" designation. This replica was moved to Disney-MGM Studios (now “Disney’s Hollywood Studios”), Lake Buena Vista, FL after photography on the film was completed. Info courtesy Ed Cook. This page was last modified on 8 November 2015, at 07:02.